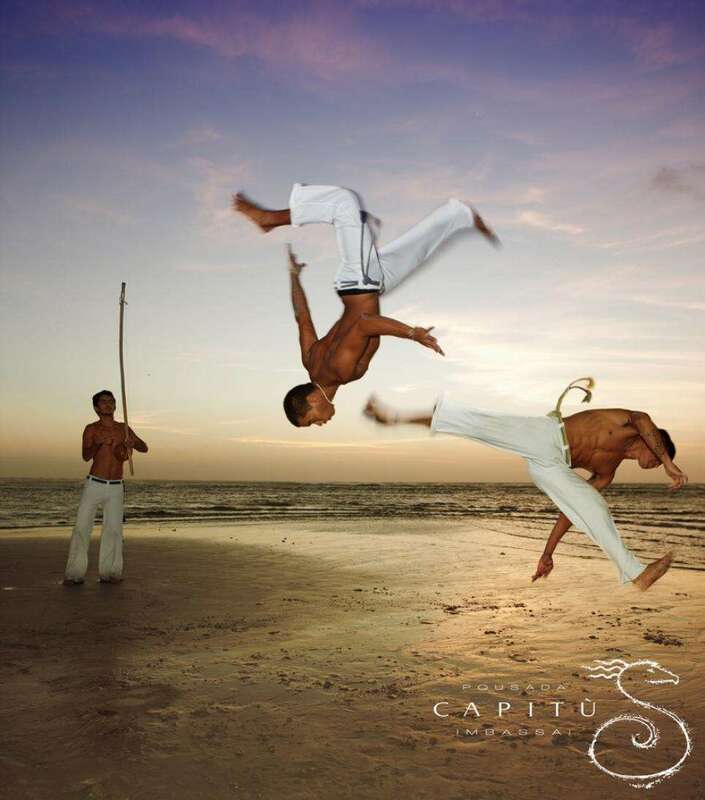 How can you practice the Brazilian martial art of Capoeira at the Pousada Capitù Imbassai? HOW TO PRACTICE CAPOEIRA AT THE POUSADA CAPITÙ? 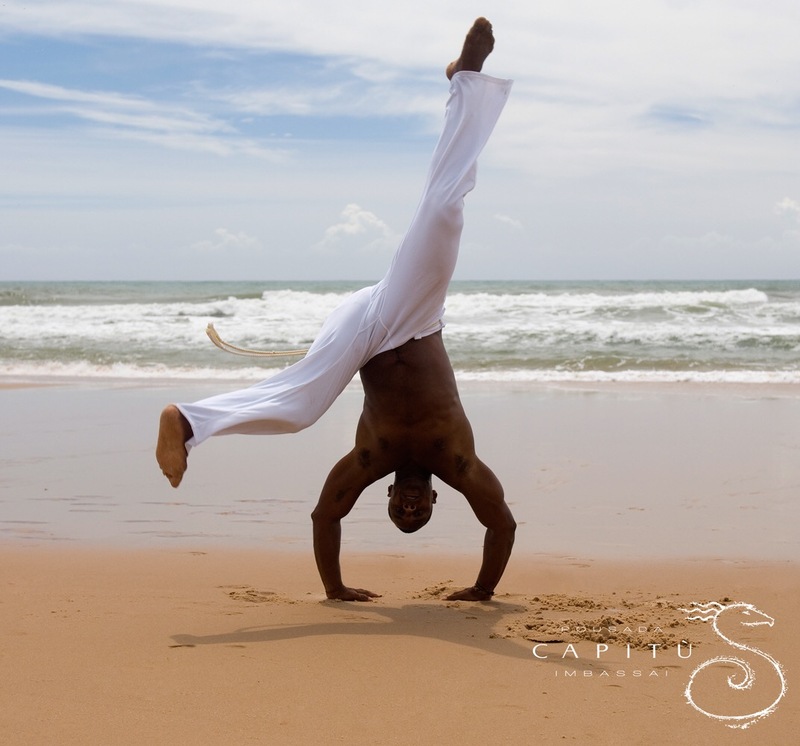 Inspired by several African martial arts techniques, Capoeira was born more than 400 years ago on Afro-Brazilian lands. At the time of Portuguese colonization, black slaves from Africa, particularly from the Banto ethnic group of Angola, were subjected to terrible working and living conditions, brutal repression of their culture, rituals and their past, resulting in a great frustration and a feeling of revolt. In order to avoid violence or alliances against the regime, the Portuguese masters forbid all forms of combat. The slaves then developed, in secret, a defense that resembled a dance, rythmed by African songs, later called "Capoeira Angola" of Mestre (= Master) Patinha. Capoeira offered a way of freeing the rage of the slaves by fighting but never touching or hurting themselves. It became one of the symbols of the slave struggle against Portuguese colonization. Considered an inferior habit of the black people, Capoeira was banned in Brazil and suffered violent repression by the police until the 20th century. In 1930, Manoel do Reis Machado, a famous Capoeira teacher commonly called Mestre Bimba, decided to try his luck and successfully presented a light version of this fight to then Brazilian president Getulio Vargas. He loved it and decided to make Capoeira a national sport. Mestre Bimba later developed what will be called "Capoeira Regional", with much faster rhythm, more precise, targeted gestures, and incorporating acrobatics. This sport is today a unique art form in Bahia, whose main function is to maintain the cultural heritage while giving priority to excellent physical fitness. HOW DOES A GAME OF CAPOEIRA TAKE PLACE ? The dancers are dressed in an Abada, long wide white trousers associated with a colored rope belt. The colors are based on their tone, from lighter to darker, representing different levels of proficiency. 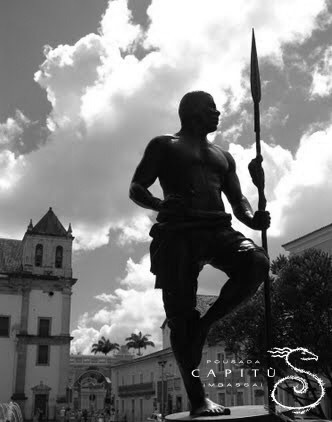 The highest grade, symbolized by the black color, is the one of the "Formado" or "Mestre", the master, and pays tribute to the slave Zumbi Dos Palmares (represented by a statue on one of Pelourinho's squares in Salvador de Bahia). 4) The Caxixi: a small wicker basket, in the form of a closed bell, with dried seeds inside. Rythmed by different traditional sounds, the "toque", the participants form a round, a "roda" where two players, after showing a sign of respect, initiate a slow dance in the center. The dancers perform passes, feints, and acrobatic figures with such ease and coordination, that it seems that the "fight" is in fact a choreographed dance. The secrets of this game are feints and tricks that highlight the art of dodging and self-mastery. 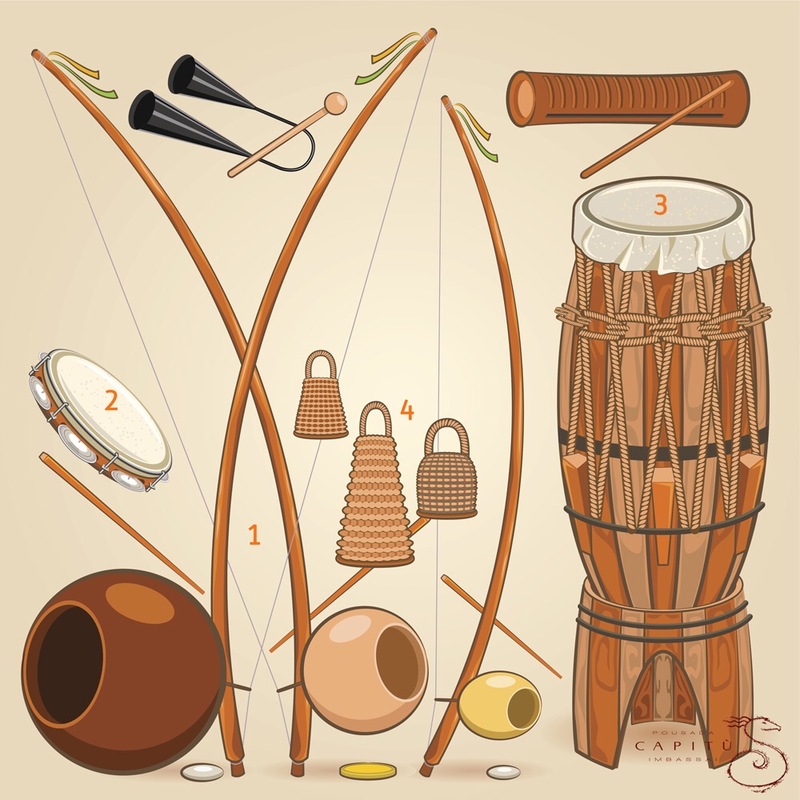 The four main "toques" are the "Banguela" for a slow Capoeira, the "Sambento grande" for a faster dance, the "Hino" used during the presentation of teachers and the "Luna", played at graduation ceremonies. 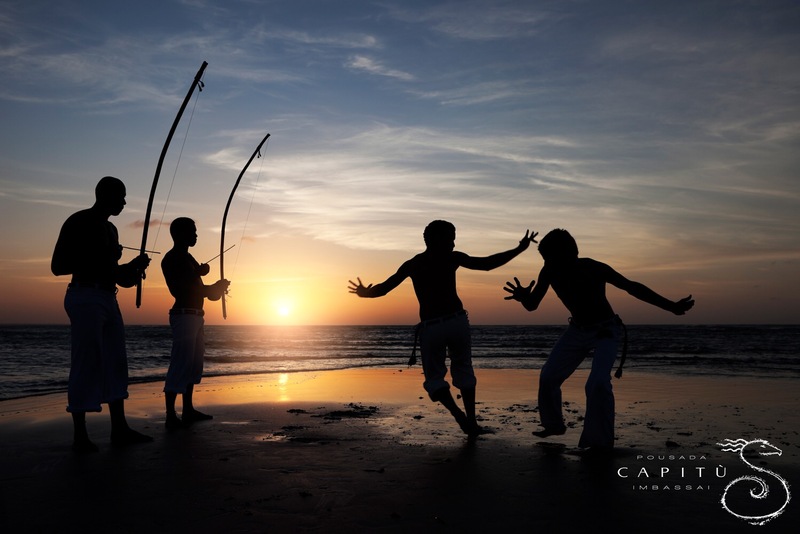 Capoeira combines perfectly with a stay in the sun facing the Atlantic Ocean, in the heart of the cultural heritage of Bahia. Age doesn't matter, everyone can try Capoeira. This is a unique opportunity to challenge your body while gaining agility and grace by performing the passes and feints Master Ji will teach you! And all while calming your mind listening to the beautiful instruments mixed with the sound of the waves. To book your next stay at Pousada Capitù, located in Imbassai in the state of Bahia, go to www.capituimbassai.com to benefit from our best prices.